The advent of social media was also an advent in customer service. With platforms like Twitter, people began bypassing 1-800 numbers and phone trees in favor of directly interfacing with brands through tweets and public messaging. Though brands responded to maintain affinity and loyalty, they were put in a spot where social feeds suddenly carried an expectation for being a customer service tool and customer feedback the expectation of being instant and tailored. Where does customer service & support fit on your brand positioning / priorities? Justworks: Service delivery is a key part of Justworks’ product and value proposition. That seems like a no-brainer, but customer service in the HR technology space is notoriously lacking — and it’s truly non-existent for non-buyers (people whose company has decided they’re on X platform, for example). That’s somewhat surprising because benefits are personal, health is personal, and wellness is personal. Along those lines, we look at customer success as the fusion point between HR and technology. Whether it’s in-app, via Slack, email, or over the phone, our goal as a team is to create confidence and delight through simplicity and expertise. That mindset guides everything we do — from responding to the smallest inquiry to looking at how we can serve our customers in new ways. Last year, for example, we introduced 24/7 support after recognizing that starting, running, or joining a growing business rarely aligns with a typical 9 to 5 schedule. We saw people were choosing their health insurance plan or reviewing pay stubs at night or on weekends, and we wanted to be there to answer their questions. As a brand, we’re committed to offering a new level of access to both our customers and their employees, whenever they might need help. That’s a big differentiator for us. TripActions: Our brand is all about getting you where you need to be, to meet who you need to meet –– bringing humanity back into business travel. Customer support is at the heart of everything we do. We have an in-house support team that is available 24/7 to help if something goes wrong in travel, like a flight change or delay (it’s happened to all of us!). Let me give an example: when is the last time you were in an airport and you received a notification that your flight has been canceled or delayed? Your immediate reaction is, “Oh no, what am I going to do!” You trudge to the customer service desk to wait in line, while calling the airline at the same time, and trying to get past the operator. We’ve all been there, and it’s a terrible experience. So at TripActions, we make it easy. Chat us anytime, anywhere, and we’ll help get you on another flight stat. Do you look for particular character traits when hiring your chat agents? Justworks: Definitely. We have taken a non-traditional approach to hiring. While we love hiring employees who have done this job before, we prefer to lean more on soft skills and culture fit than on experience. This is key to building a team that is incredibly caring and empathetic to the customer experience. We also find that it results in a more diverse team, which is also very important to us at Justworks. TripActions: One of our company’s core values focuses on empathy, empathy, empathy. Our global travel support team is one of the best in the industry. When hiring, we look for tech-savvy, customer-obsessed, travel enthusiasts who want to help our travelers get to their destination in a stress-free way. We look for problem solvers, critical thinkers, and team members who always lead with empathy and are personally committed to a high level of service. Are there any new explorations you’re considering to encourage more customer support? Justworks: Always. As with the addition of 24/7 last year, we’re always thinking across the full spectrum about new roles, new team structures, and new channels to support our customers more effectively. Bottom line — if we think something will benefit the customer experience, we will at least test it. Internally, we are also constantly experimenting with new approaches to training and employee support, which we believe will get passed on to the customer experience. TripActions: Yes! We are constantly analyzing every touchpoint of a traveler’s experience from beginning (from the time of booking) to the end (when a traveler gets back home) –– and we want to solve for key pain points that may arise during the journey. Technologically, we implement AI and machine learning technologies throughout, as these help personalize and optimize the process by simply getting to know the travelers to intelligently “intervene” if we know the traveler needs to, say, re-book another flight. That being said, we focus on growing a very human customer support team, and our technologies are only used to enhance a very empathetic, helpful support process. Where do you see the relationship between AI & customer service? Justworks: I think it’s too early to know. Chatbots are interesting because they can help customers quickly and efficiently, but I also believe that service is inherently human. Our customers like interacting with our team because they are real people who can be themselves as they do their jobs, and that shows in the experience we can deliver. I don’t know if robots can do that, but they can certainly help our customers get connected with humans on our team, or deliver information in an automated, self-service way. Trip Actions: We consider AI and Customer Service a partnership; together they modernize the entire customer experience. 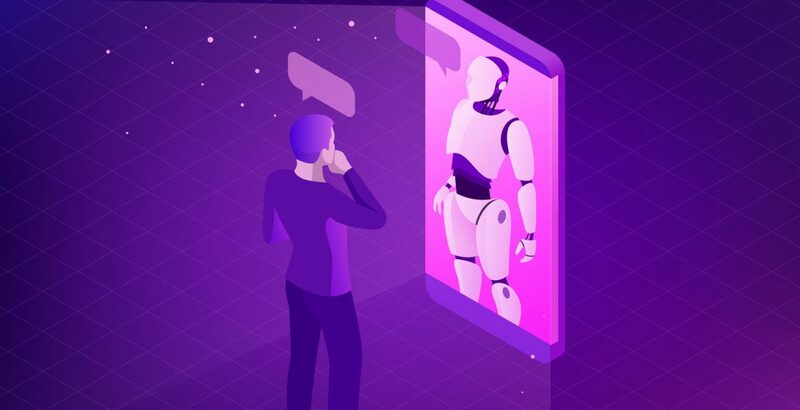 For our travelers AI is key to quickly identify and resolve common issues as quickly as possible, and if that’s not possible, our customer support team can easily join the conversation and solve the issue with additional context. Together the combination of AI and customer service is much stronger than either piece alone.